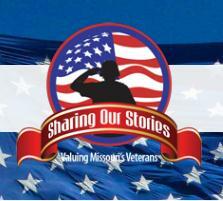 This Saturday Columbia College will be hosting the “Sharing Our Stories: Valuing Missouri’s Veterans” event, a day filled with lectures, panel discussions and media presentations revolving around the personal stories of Missouri’s veterans from every era. The day is scheduled from 9:00 a.m. until 4:00 p.m. in Dulany Hall. The conference, including lunch, is free to veterans and military, active and retired. Others may attend at a cost of $25. Additional information and registration is available at www.ValuingVeterans.com. Conference programs will include stories from Honor Flight, a presentation by the Missouri Veterans History Project, Col. Dr. James Coy (retired Special Forces), “Letters from World War II Soldiers and Home,” and various panels offering the personal perspectives of veterans. Sponsors include Veterans United Home Loans (NMLS #1907), Missouri Veterans Commission, Columbia College, Central Missouri Honor Flight, Missouri Veterans History Project, KMIZ, Columbia Daily Tribune, The Eagle 93.9, Marathon Building Environments, the National Association of Veterans Organizations and Caledon Virtual.